As a K.I.C.K. MASTERS student, you’ll be in great company. Providing the most comprehensive training for people of all ages, K.I.C.K. MASTERS has been the school of choice for many law enforcement officials, professional athletes, educators and fitness enthusiasts. At K.I.C.K. MASTERS, because we are committed to ensuring every student receives well-rounded, streetwise self-defense skills that work, we combine the benefits of karate, kickboxing and jiu – jitsu. It’s easy to want to be in-shape, but being motivated to go to a gym or dedicated to run on a treadmill is not. Almost any workout will give you results if done consistently, but not all workouts will give you the motivation to continuously train. In short, gym workouts are flat, but at K.I.C.K. MASTERS our classes are motivating, exciting and fun. 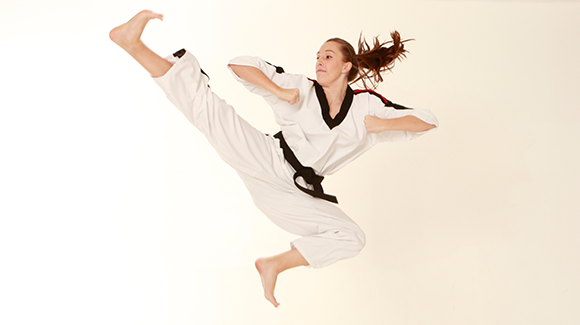 Our students actually enjoy learning karate while they train to get into the best shape of their life. The combination of a fun workout, physical results and learning a life-skill is what we call a 3-dimensional workout… giving you three reasons to take our classes instead of just one. Finally, a fitness program you’ll train with consistently. All of our students will receive superior instruction from instructors who pride themselves in how and what they teach. 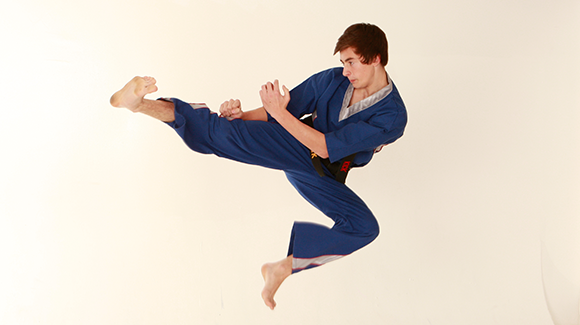 From beginners to black belts, we train our students to achieve their best. As a student, you’re looked upon as an individual and will never be compared to someone else. You don’t need to be in the best shape of your life and no prior experience is necessary. All you need is the right attitude and a desire to do your best…the rest is up to us. Your success begins with the willingness to try.